This book is part of a series that stems from the phrase, “I know.” The series profiles interesting and wacky characters and the crazy, fun things that they do — yo-yoin’, travelin’, eatin’, drinkin’ soda, etc. This collection of bouncing rhymes is both educational and entertaining. 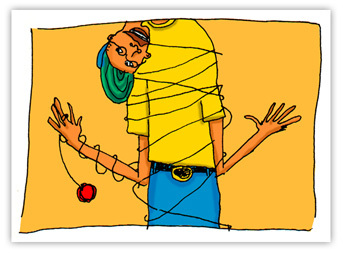 The Yo Yo Man is a fun piece of poetry that, when read to children, ALWAYS brings a roaring response.